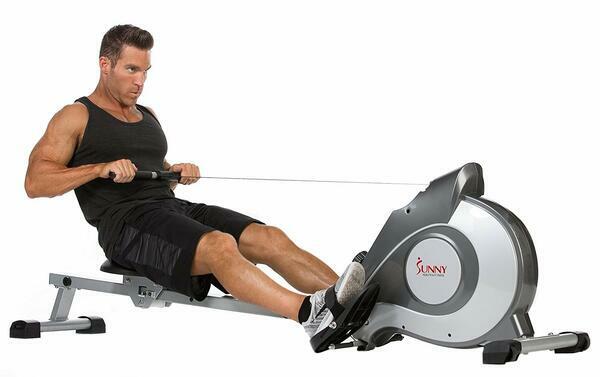 Best rowing machines otherwise called indoor rowers, also ergo meters, are cardio machines that mimic outdoor rowing. Rowing machine reviews will help you find a rower, which will give your upper and lower body a workout you'll never forget. Well OK, I may be exaggerating a little, you'll be sore for a couple of days. Also, don't forget that rowing is also great for cardio - cardiovascular workout, and rowing machines are great for low-impact cardio, that doesn't mess with your joints. In the event that you work out using a rower appropriately, you will guarantee that you abstain from straining your body and get an ideal workout. Here are the reviews of best rowing machines, that I've personally owned and / or tested in detail. 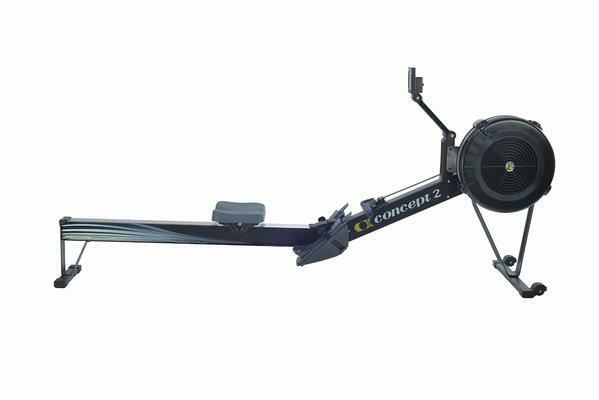 If you are a professional rower and need some quality equipment for indoor training or if you are looking for an effective full body workout solutions that would help you work out all the muscles at the same time, it is the Concept2 Model D Indoor Rowing Machine that you are looking for. This best selling indoor rower unit has been accepted to be able to deliver excellent cardiovascular workout for which people spend hundreds of dollars on gym memberships or expensive home gym units. The Model D indoor rowing machine is a 244 cm long and 61 cm wide unit. The seat height of the unit is 36 cm. It can withstand a maximum user weight of 500 lb or 227 kg. Unless you bust this limit, no matter how big sized you are you can still workout on the Concept2 Model D Indoor Rowing Machine. 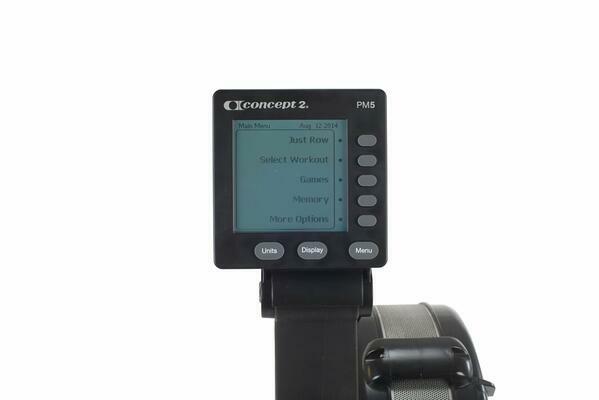 While you use the Model D indoor rower, changing the feel of the stroke is easier. This is made possible by the spiral damper that allows easy adjustment of the airflow to the flywheel. The unit has a nickel plated steel chain which ensures that it is highly durable and can be used for many years without the need of frequent lubrication. It comes with performance monitor 5 (PM5) that allows the user to track five different things. The PM5 that is mounted on an adjustable monitor arm would track and show data related to distance, pace, and speed, watts and amount of burnt calories. The user-friendly interface of the PM5 monitor lets the user work on preset workouts and transfers the performance data to external storage device like the PC or USB flash drive. Flywheel design reduces the noise while operating the unit and maximized the smooth feel. While nothing in the world can be perfect, but the Model D indoor rower actually has no reported cons. The only challenge that you can think of with this machine is the unavailability of the spare parts in the market. However, with the high durability of the unit, you would hardly need to look for a spare part ever. If all these features and specifications were not enough to make you decide to get the Model D indoor rower in your home gym, you may want to be informed that this same unit is being used by elite athletes as well as Olympic athletes to train for their sport. If you want a solid machine that will last for a lifetime and let you enjoy the best benefits of the workout sessions in your home gym, there is no better option than the Model D indoor rower. Time is a very important factor in today's society. Everything happens in a rush and we need to make every second count. That's why, a lot of us, dedicate too much time for work and chores, and we don't have any extra-time for fitness related activities. This is when the Sunny Health and Fitness Magnetic Rowing Machine comes in. This device is specially designed for active people, who, from the lack of time cannot go to a gym. The new Health and Fitness unit, brings together all the necessarily features for a complete and very effective cardio workout. With it, you can get in shape from the comfort of your own home, in a convenient and fun way. Even though we're talking about a complete fitness unit, this device is not very big nor heavy. It has a shipping weight of 68 pounds, which is more than decent for such a device. Its dimensions are also acceptable and the manufacturer rates it with 51 x 26 x 10 inches. Still, it's very resistant and it has a maximum user weight of 250 lbs. Sunny Health & Fitness SF-RW5515 Magnetic Rowing Machine has a very simple motion design, and with a single move you will be able to work every major muscle group. The unit's frame is made entirely from stainless steel and it uses magnetic tension so you can have the smoothest and most enjoyable fitness experience. It has 8 levels of adjustable resistance and based on your shape, you can go from a beginners level to an advanced one. The product comes with a 6 months warranty from the manufacturer, which includes the frame and the parts. During this time, you shouldn't worry about any maintenance problem. Still, after the warranty period ends, you should consider checking the device from time to time, or whenever you feel that something's not right. The good thing is that the device is operated by a magnetic resistance, so there isn't much that could go wrong. If it, does, don't hesitate to contact their customer support. The first advantage of this training unit is the price. For a low amount of money you get a complete fitness device, which will help you work all your muscles. The LCD display console, which shows a lot of relevant information like: total count, burned calories, time, scan etc. It's effective. It's well built and it will really make you work for the results. The 8 levels of resistance will let you improve and increase the intensity. It's silent. The noise level is so low that you can literally have someone sleeping next to you while training, and he won't be bothered. It can be a little uncomfortable for the tall people. If you're really tall, you won't be able to lean forward and perform the full motion. The intensity doesn't increase while you hasten the pace, like an air unit does. Still, the magnetic resistance has many other advantages, so we can overlook this one. If you're looking for a nice, reliable and incredibly effective device, Sunny Health & Fitness SF-RW5515 Magnetic Rowing Machine is the perfect choice for you. Even if you're a beginner or you already have some fitness experience, this unit will surely come in handy, and you will soon get the result you've always wished for. 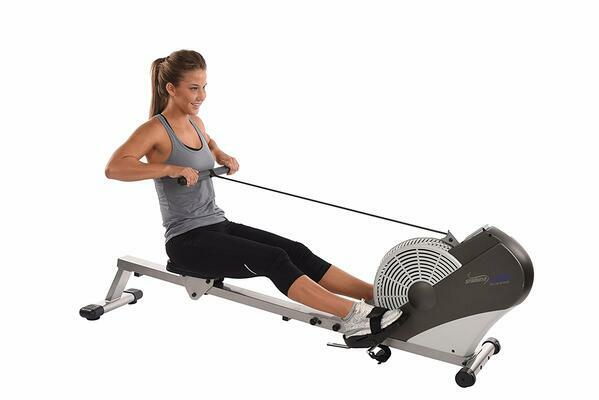 The Stamina Air Rower is a robust, compact, and stylish air rowing machine. Manufactured with quality steel, this fitness machine consists of an over-sized chrome seat rail that gives it extra strength and durability. This exercise Rower from Stamina is also foldable, making it easy for storage and perfect for home and office use. There are built-in wheels to enhance portability and floor protectors that help to prevent skidding. The machine has the dimensions of 78"L x 17.75"W x 30.5" H inches, weighs 80lbs, and can accommodate a maximum user weight of 250lbs. When folded the dimensions are 57.5" L x 19.75" W x 33.5" H.
The Stamina Air Rower uses wind resistance technology which gives you the ability to automatically adjust the resistance level depending on how fast you row. Rowing is known to be one the best all-around fitness activities. This indoor rowing machine is ideal for a low-impact workout and will improve your cardiovascular and muscular fitness without the need to undergo any undue stress or strain. You will be able to achieve a full body workout that utilizes all your muscle groups including back, abdominals, legs and arms. Also, this exercise machine is suitable for both old and young alike. Other features that come with the Stamina Air Rower are a molded seat designed for ultimate comfort during a longer workout and a multi-function monitor keeping you informed on your workout by displaying fitness statistics such as distance, calories burnt, speed, time, and a number of strokes. These electronic features are bound to keep you motivated during your workout. 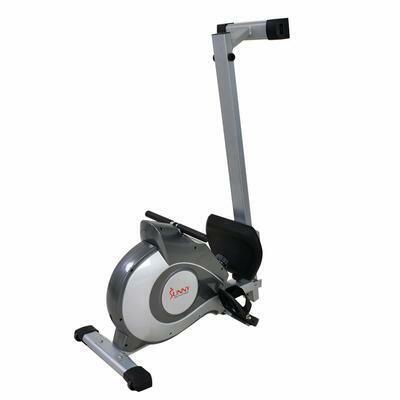 The Stamina Air Rower is considerably much cheaper than other resistance type rowers such as water and magnetic. It also comes with a 3-year warranty on frame and a 90-day warranty on parts. This machine can be easily assembled and easy to use. You will be on your way for better health and fitness in no time. Increased supply of air in the lungs means more supply of oxygen-laden air throughout the body. Aside from achieving healthy muscles, one can not miss the benefits of increasing the strength of the heart and lungs. These two major organs of the body are the receivers of the excellent benefits of aerobic exercises that one could gain by using air rowing machines. The diaphragm contracts and relaxes as one experiences resistance and speed, thereby resulting in increased supply of oxygen to all the vital cells and tissues of the body. In using Stamina Air Rower, injuries are minimized because the degree of resistance can be adjusted depending on one's physical capability. The danger of overdoing it is reduced, for one can adjust his speed and resistance depending upon the capacity of the trainee. There is also no need to be anxious about enduring ankles, knees, and toes, for the exercise is done in a seating position. The ligament and joints are not harmed, for all throughout the activity, the muscles of the body are the ones benefiting. Air rowing machines are also great for losing weight; thereby fat cells are replaced by muscles cells and the body looks fit and lean. Endurance, as well as flexibility, is achieved by doing this exercise. The Stamina Air Rower gives a terrific, total body workout...tones all the muscles, gives good cardio exercise, and offers plenty of resistance. It's easy to use and offers low impact workouts for a great price. The rowing machine is an exceptionally effective approach to lose weight. Exercising on it requires the entire body to be locked in and that means the upper and lower body gets a decent work out. When you exercise on a rowing machine your shoulders, back, arms, biceps, thighs, abdomen, legs and buttocks get a decent workout. As your muscles turn out to be more toned, your body's metabolism increases and that is effective in burning off more calories and fat. Another benefit of using a rowing machine is that they are regularly less expensive than other exercise equipment. Likewise, they strengthen your muscles as well as develop your bones. By increasing your heart rate, they also are effective in adding to the health of your lungs. These machines also strengthen your back and give a boost to your posture. 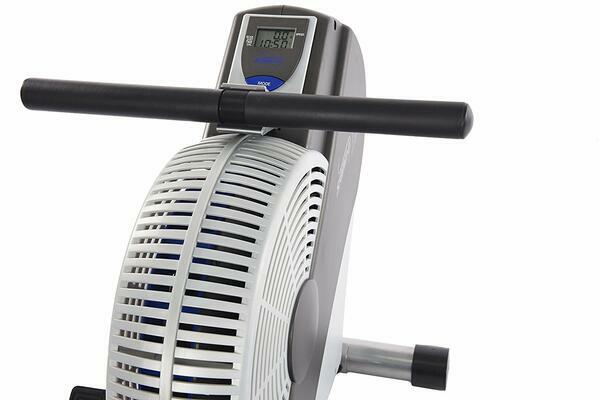 Modestly priced rowing machines can be found and work just as well as those that cost more. Note that when you exercise on a rowing machine, you are basically giving a decent imitation of what you would do on a real rowing machine; that of pulling and pushing the oars. What makes this exercise equipment so effective is that you can change the intensity of the machine by making it more difficult or easier to push. Buy rowing machines and appreciate better health. Another benefit with this machine is that there are fewer risks included when using it and it gives a total body workout. Rowing has been observed to be a standout among the most effective exercise machines to use because it develops and keeps one's joints adaptable and is regularly used by those who are recuperating from knee, hip other joints injuries because it offers the body smooth even movements amid the exercise schedule. Since it requires the utilization of such a variety of significant muscle assembles, a rowing machine is a viable approach to raising your heart rate and expand your oxygen uptake. The movable resistance on most rowers lets you effectively work up to your objective heart rate and additionally back off to your resting rate. Anybody searching for a rowing machine needs to take a gander at the models of his interest. Every rower designed in view of the user from the inventive display monitor to the rowing handle highlighting a built in pulse reader. Every rower reviewed above has an all around padded seat designed for solace, situated on two rails for smooth gliding without fail.